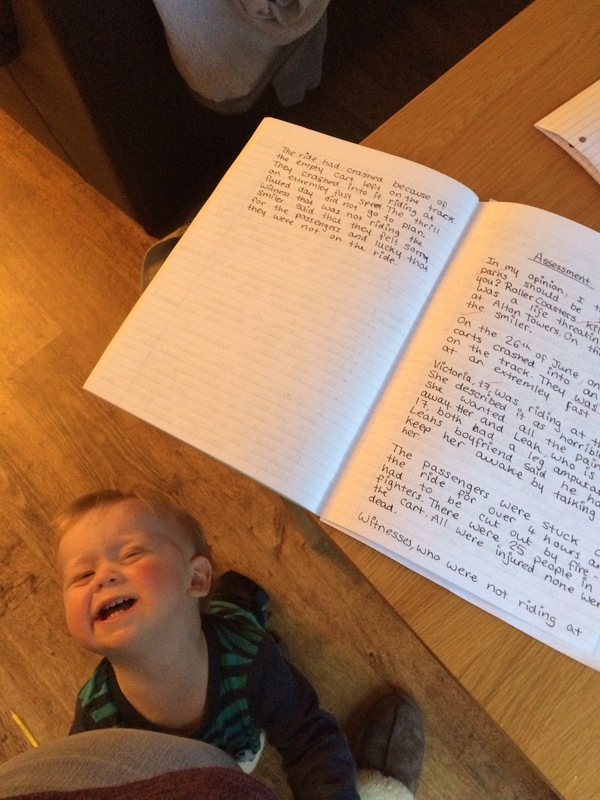 My children are geniuses – they have hijacked my laptop, logged into my account and written a blog post about their Easter Holidays. What on earth are they being taught at nursery? I am impressed. The Dude: Got my first black eye. My Girl: Mummy got up with us (she claims that she is always awake and never sleeps, and that Daddy never bothers to bloody get up anyway), but she was much more chilled out than usual. She drank her tea and gazed lazily out of the window while my brother and I destroyed the living room. A chilled out morning enjoying our view. 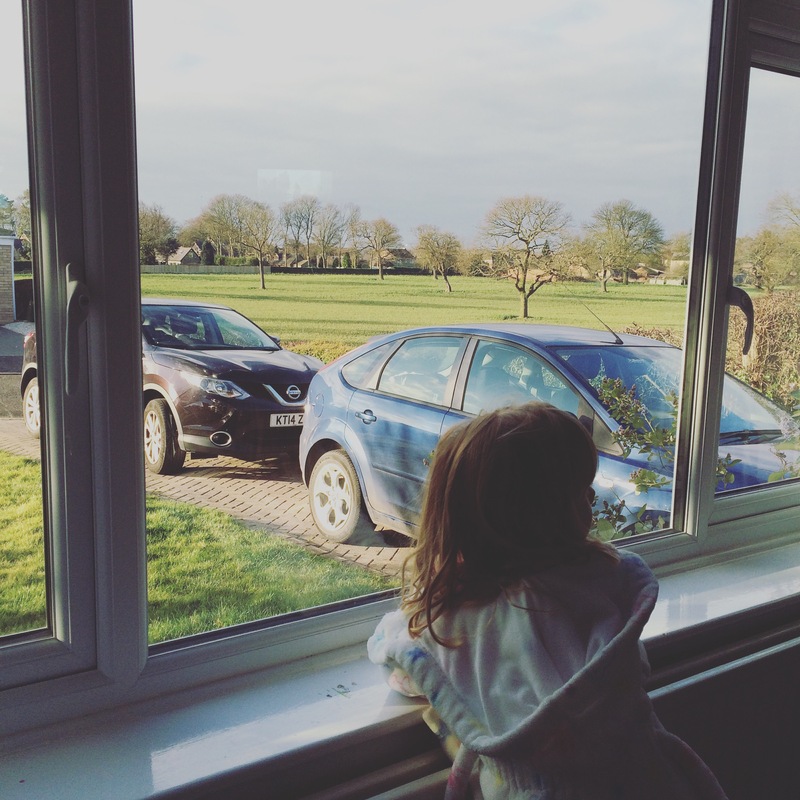 Mummy says we should appreciate our view more because we paid and arm and a leg for it…Not sure whose arm or leg though. She did freak out a bit when my brother decided he wanted get all of my colouring pens out of my desk, but tripped on his way to the desk and hit his eye on the corner of it. Yes, she screamed at that, grabbed him and kept repeating the word “balls” as she looked at his eye. Not sure why she used that word as, for once, there were no balls in the living room. Anyway, this kafuffle brought Daddy down stairs and she asked him to assess the situation. 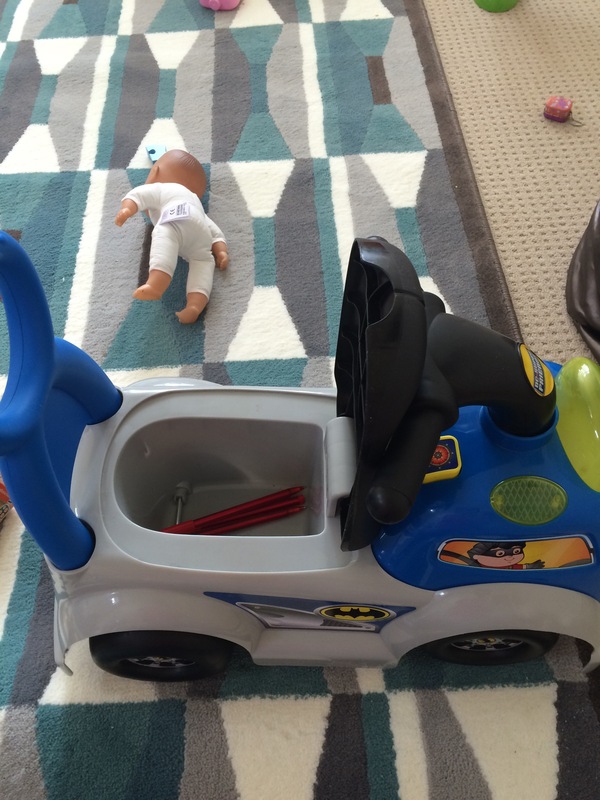 Together, they decided that seeing as he was back on his Batmobile and zooming around Gotham the living room, he probably didn’t need to go to the hospital. After Mum’s guilt had subsided and she had resigned herself to the fact that her only son was going to be sporting he black eye for the next week or so, we got dressed and ready for a day out to Tropical World in Leeds. She told me that we were going with Grandma Pam because she would pay for everything; she then told me not to repeat that to anyone, but no one reads this blog, so I am sure it will be okay. 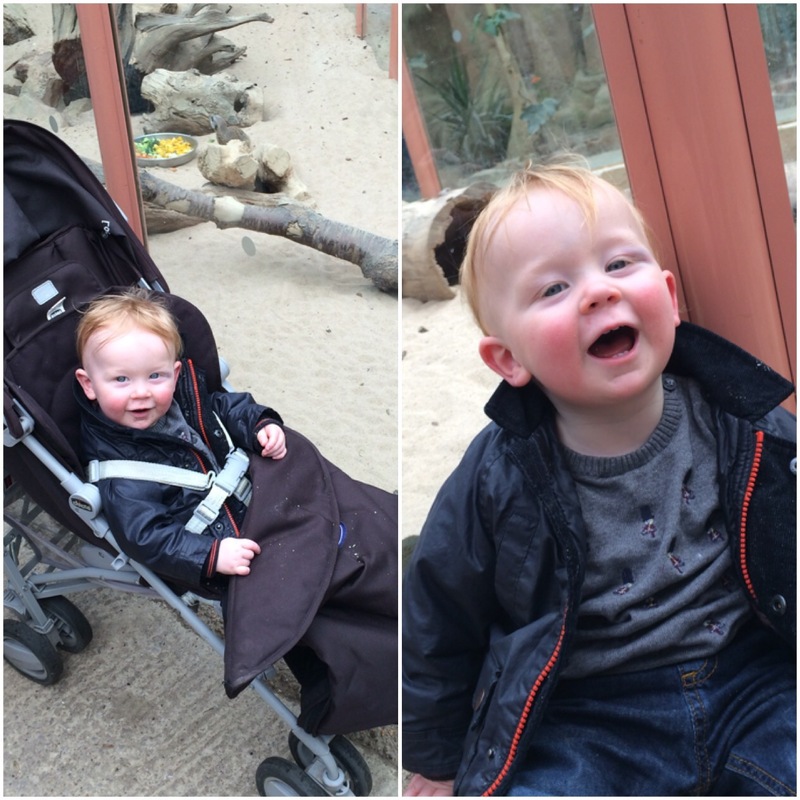 During my trip to Tropical World, I thought I would tell Mummy how much I wanted to go to the park down the road from where we live over and over and over again. While we were looking at the stingrays and huge fishes, I told her that I wanted to go to the park with Daddy. While we were looking at the beautiful butterflies, I told her that I wanted to go to the park with Daddy. While we were looking at the Meercats, which I loved by the way, I told her I wanted to go to the park with Daddy. Mum! Can you see the meerkats or is the swelling of my eye getting in the way? 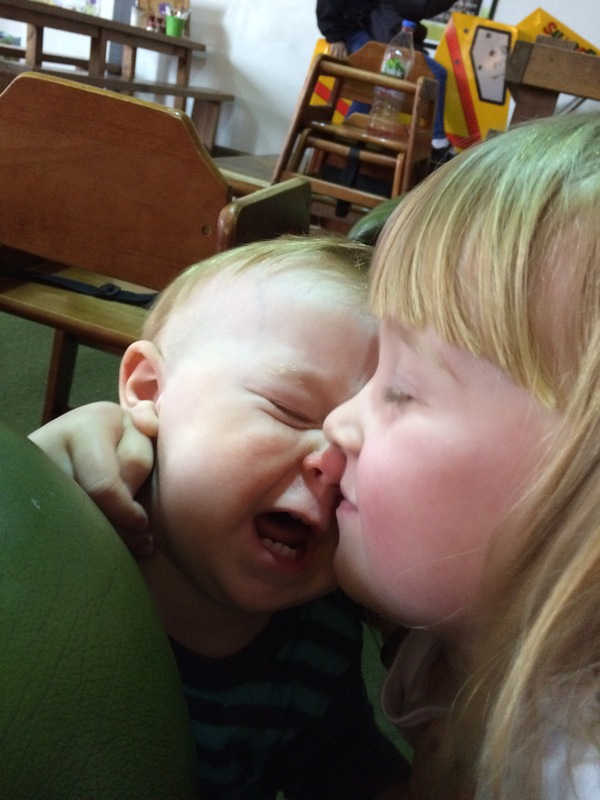 Also, when she was kissing my brother, (she seemed to do this a lot, especially when she was on the receiving end of disapproving looks from other parents) I told her that I wanted to go to the park with Daddy. 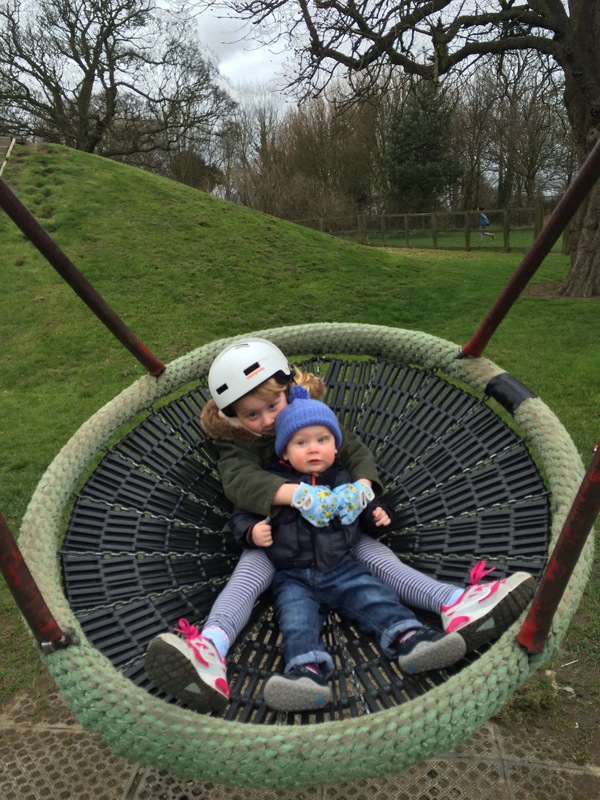 Mummy finally gave in and we all went to Roundhay Park and played in the adventure play area. I loved the slide and the swings, but felt it was only right to point out that Daddy wasn’t there. The Dude: Stayed at home with Mummy all day. Avoided my sister’s desk. My Girl: Yay! Daddy took me swimming! Mummy was going to come, but she kept going on about the fact that my brother has no swimming trunks. I pointed out that he had some shorts and then I went running upstairs (with Daddy, of course, because being upstairs on my own scares the living bejesus out of me) and found a pack of swimming nappies stuffed into the corner of my brother’s wardrobe. I nearly missed them as they were buried under a pile of old muslins and a Peppa Pig that, when touched on the stomach, sings ‘Twinkle Twinkle Little Star’ over and over and over again. I’m not going to lie – I wanted to punch Peppa, but feared that she would just start singing again. After handing Mummy the nappies, she made another excuse about my brother’s ears and how they are not supposed to get wet. I told her that she didn’t have to put him under the water, but still she would not come. “She just can’t be bothered shaving her legs because she is lazy,” was what Daddy told me once we were in the car and on our way. After swimming, I asked for a McDonalds. When Daddy told me no because I eat too many McDonalds, I decided to take a leaf from Peppa’s book and repeat the word over and over and over again. Guess what? I got chicken nuggets, chips and a toy. What a nice surprise. The Dude: Got my first hair cut. It made my black eye stand out even more than it did before. My Girl: I went to Grandma and Grandad’s for the afternoon. They showered me with attention, gave me lots of treats, played games with me and made me feel like I was the only girl in the world. Grandparents are awesome. When Mummy came to pick me and my brother up, Grandma asked if she had managed to do her marking. (Mum had been complaining all morning that she had about a hundred books to mark). I over heard her explain that she had done no work because she had had a two hour nap. Hmm, she is lazy after all. Daddy was right about Mummy, which I find weird, because Mummy often tells me that no matter what he does, Daddy will never be right. The Dude: Mummy was paying me no attention so I hid all of her red pens in my Batmobile. “Little bugger,” she said when she found them. I wondered if this was a new name for me as I have over heard my sister refer to me as this moments before Mummy has told her off and sent her to her “thinking chair”. The Batmobile. Perfect for catching villains and hiding red pens. After putting the pens way beyond my reach, she started to pull out some books from a box. Now I know how much Mummy dislikes marking, so I thought I would show her some affection by gripping onto her leg and screaming. She responded by telling me that she knew I was tired and that I needed a nap. I did not need a nap. I just needed some Mummy love; I reinforced that fact by pulling incessantly on her fringe and licking her eyeball when we were upstairs on her bed. She called it ‘licking’, but I prefer the term ‘kissing’. Anyway, she quickly gave up on the nap and carried me back downstairs. She shoved a whole Easter Egg in my hand and told me “to go to town” on it. I didn’t know what that meant so I just ate it and then wiped my hands all over the living room rug. 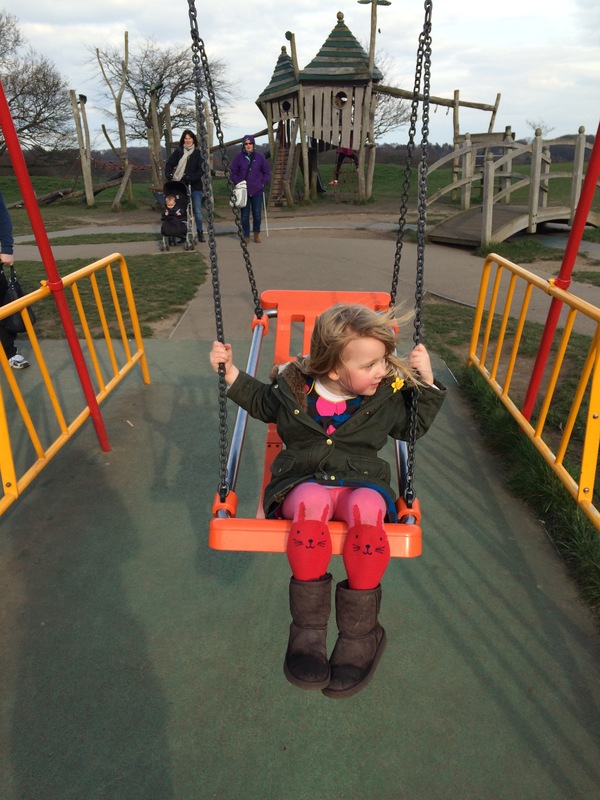 My Girl: I finally went to the park with Daddy. Best. Day. Ever! Upon returning from the park, we found Mummy on her hands and knees cleaning up brown mush from the rug in the living room. She told Daddy that she had only marked four books and that she needed more time. Daddy shook his head and made a mad dash for the kitchen. I heard the door slam just as Mummy handed me her phone with the Plants V Zombies app open before making a mad dash herself back to her table full of books. I don’t know what happened after that; the world around me became a blur as I began to choose plants that could fire peas at zombies. Every three minutes or so, I thought Mummy would like to know that a zombie had eaten my brains, so I ran over to her at the table and shouted it in her ear. The Dude: Mummy woke up grumpy and waited in bed until Daddy came and got me. I displayed my resistance at this by having a morning poo. Daddy showed his resistance to the whole situation by changing me on the carpet right outside Mummy’s bedroom. He then asked her to get some wipes and a nappy bag and then dress me in a new sleep suit because I had a bit of ‘poo juice’ on me. After I was changed, Mummy came downstairs with us all because she was “bloody well and truly awake now”. Daddy called me an Evil Genius and high-fived me. After a while, Mummy was getting frustrated and said that she needed to get out of the house and go to town. My ears instantly pricked up and I held out my hand for another chocolate Easter Egg. Instead, she picked me up and put me in the car and we literally went to town. My Girl: As a family, we drove into Leeds and Mummy told us that she was going to treat us all to lunch. 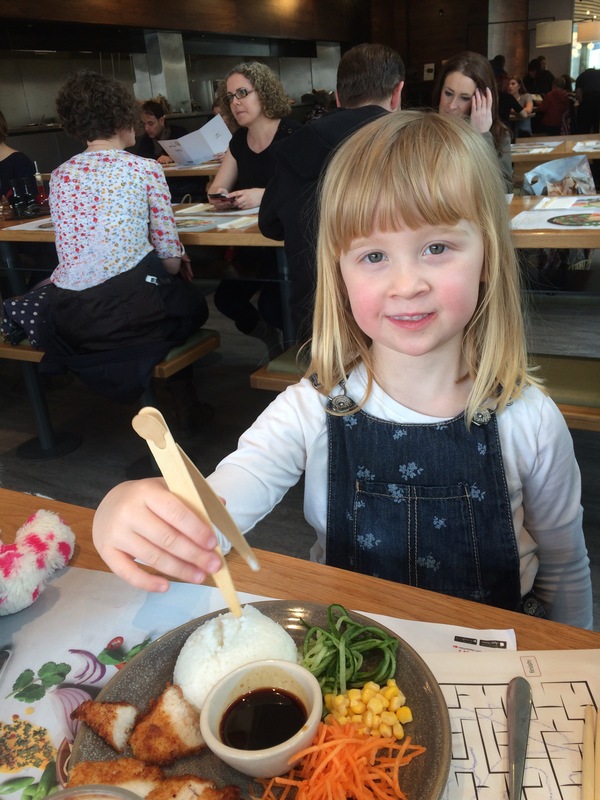 We went to a super duper child friendly place called Wagamamas. Mummy pushed some and paper in my direction and ‘ooohed’ and ‘ahhhed’ as I was handed some chopsticks. Mummy had to use a fork. I told her I wanted to go to McDonalds. And then to the park with Daddy. Mummy loved being off work with us really.